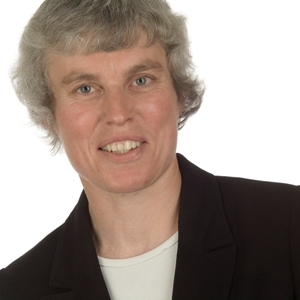 Burnetts' professional negligence practice is led by Patricia Hall who is a member of the Professional Negligence Lawyers Association. Typically Patricia represents business clients bringing claims against solicitors, accountants and surveyors, but she also advises on claims against insurance brokers and other professionals. Examples of claims against solicitors in a business context include a case where a purchaser of a public house had paid over his money, only to find that the vendor was insolvent, so that the purchaser could neither obtain good title to the business, nor get his money back. In another case, developers purchasing a property took out a bridging loan with the intention of converting the property and selling it on as a restaurant and residential flats, but then found that there were a number of unresolved issues with neighbouring properties, such as disputes over rights of way and car parking, restrictive covenants against certain uses etc. which made the property virtually unsaleable, either in separate parts or as a whole. Other typical claims against solicitors are where solicitors fail to serve notices in time to terminate or renew commercial leases, or fail to ensure that a property has planning permission for the required business use. Claims against accountants have included a failure to take relevant considerations into account when valuing a business on dissolution of a partnership, and producing accounts which disguised just how badly a business was doing, causing its proprietor to commit yet more funds to a hopeless cause. Professional negligence claims are sometimes suitable for conditional fee arrangements (“no win no fee”), but it is always necessary to investigate the merits of the case on the normal pay as you go basis first.